coffee. Coffee flavour cocktails are often served as after-diner drinks, much like coffee itself. Cocktails with Kahlúa include the iconic White Russian and the Espresso Martini. 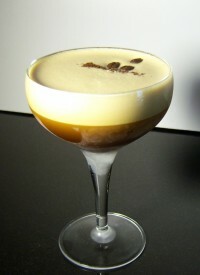 Coffee cocktails that feature actual brewed coffee include the classic Irish Coffee and Kioki Coffee. Certain coffee flavoured cocktails are now being created by using coffee-infused vodkas, which have been recently launched by some of the major drinks brands. This drink is described as being very similar to a good latte which has had orange syrup added. 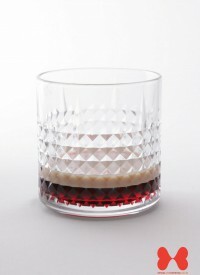 A variation on the famous Black Russian, only served in a taller glass and topped up with cola. Kahlua is the best selling coffee liqueur in Europe. The Sombrero is regarded as an after-dinner drink. 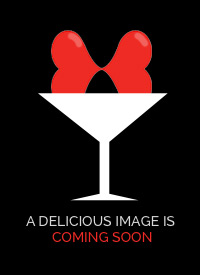 This drink was created by Blue Blazer originator Gerbert Doebber in 1952 for two oilmen who were regulars, Smith and Curran. This is an amped-up version of the Smith and Kearns, with the extra amp coming from the vodka. The Sneaky Pete is basically the whisky version of the White Russian. The word shamrock comes from the Irish word "seamrog" meaning "little clover". Vodka will disinfect and alleviate a jellyfish sting. A typical orange is 5% carbohydrates. 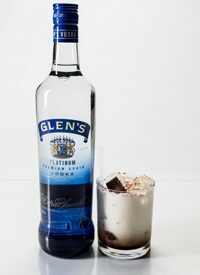 Optionally, you can blend this drink with half a cup of ice for a frozen treat or top with whipped cream. A Belgian man living in Guatemala invented instant coffee in 1906. Pedro Domecq began producing Kahlua in 1936.